The preliminary urban planning study planned the transformation and the level of development of this 200 ha site that extends from the “Joliette 4” quay at the bottom of St Jean Fort as far as the “Silo” concert venue, including the Arenc industrial area and the districts of the Docks de la Joliette dock warehouses and La Major cathedral. 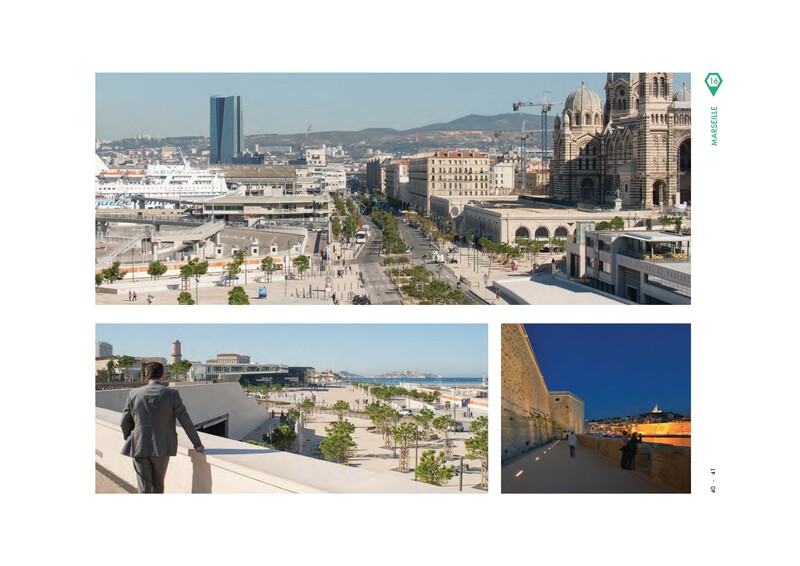 Nearly three kilometers of port frontage will again become part of Marseille’s collective imagination, reconciling the city with its port. The subsequent scheme transforms the waterfront Boulevard du Littoral into the project’s spinal column. This asymmetric urban walk links the city and the port, the circulation areas and the amenities. 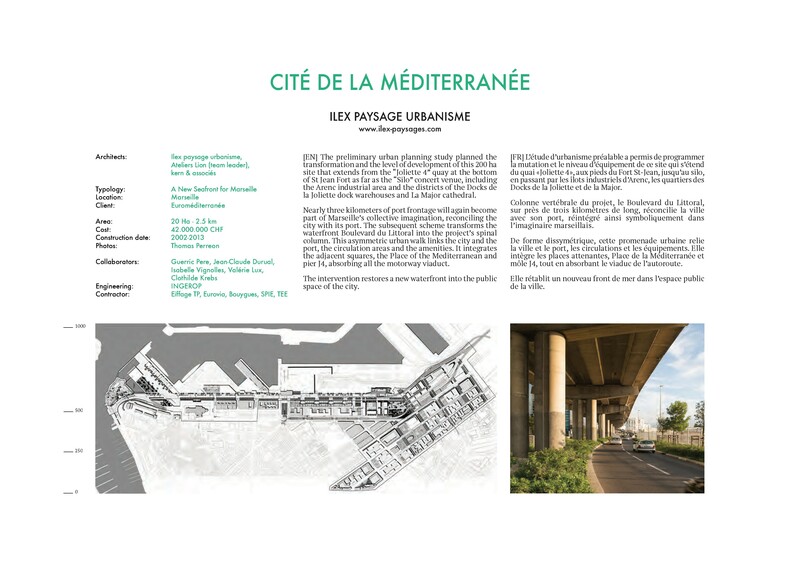 It integrates the adjacent squares, the Place of the Mediterranean and pier J4, absorbing all the motorway viaduct. The intervention restores a new waterfront into the public space of the city.